Customers should verify the identification of all utility employees coming to their homes. 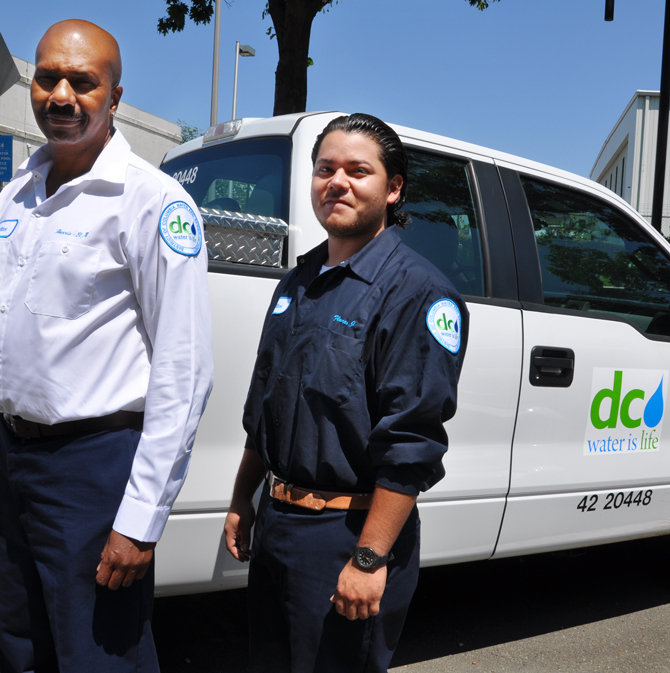 DC Water employees drive distinctively marked DC Water vehicles with DC municipal license plates, wear uniforms with DC Water logo patches and always carry a District of Columbia Water and Sewer Authority photo identification card. Anyone fearing for their safety should call 911. To report suspicious vehicles or individuals, please call 311. Additionally call DC Water Customer Services Department at 202-354-3600, when reporting suspicious activities involving DC Water employees or impersonators.